Payment Protection Insurance (PPI) remains to be the most complained about financial product, making up a third of the total 3.32million complaints in the first half of 2017. 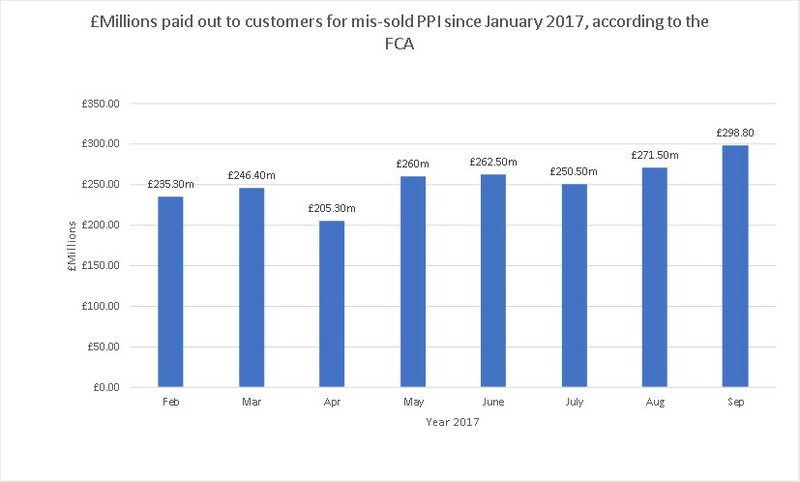 The latest figures from the Financial Conduct Authority (FCA) show that £271.5 million was paid out in August to customers who complained about the way they were sold PPI, the largest monthly pay-out so far this year. This takes the total amount paid, since January 2011, to £28.2billion. The FCA announced a deadline of 29 August 2019 for making new PPI complaints. According to the BBC, around 64million PPI policies have been sold, but less than half of those eligible to claim for possible mis-selling have already done so. The £42million advertising campaign, starring Arnold Schwarznegger, warns consumers of the deadline and urges people to act now rather than later.